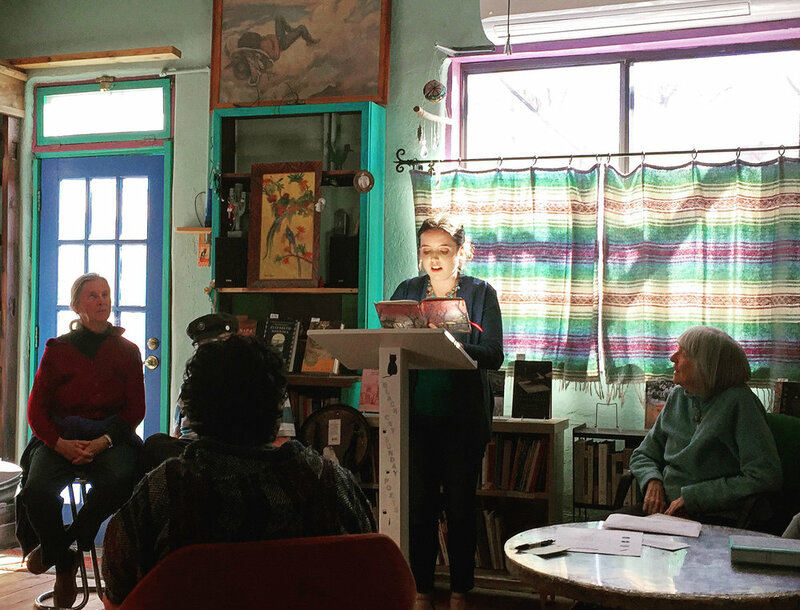 On Sunday, January 14th, I had the pleasure of participating in a poetry reading at the Black Cat Bookstore in Truth or Consequences, New Mexico. 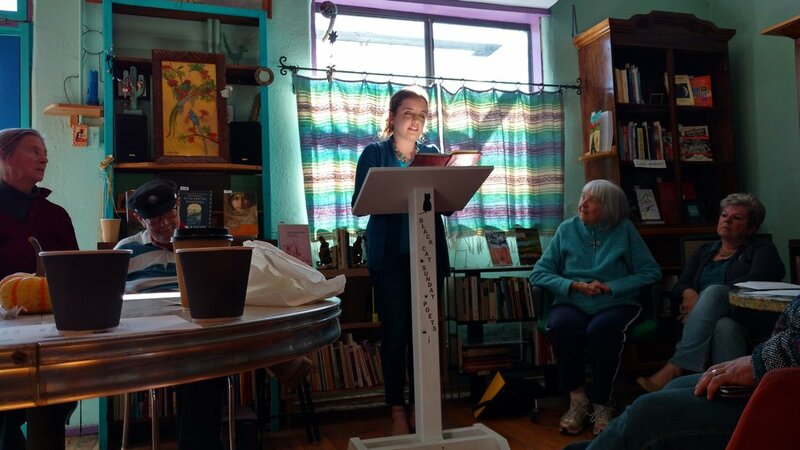 Almost twenty local poets treated us to some of their recent work which encompassed life in New Mexico, spirituality, illness, and coping with loss of a loved one. The poems were powerful in their sincerity, and it was an honor to be in the company of such wonderful poets! Photo credits: artists Souheir Rawlings , Caz Love and Meagan Thompson.